Rentner Marine Offers a variety of different repair services. 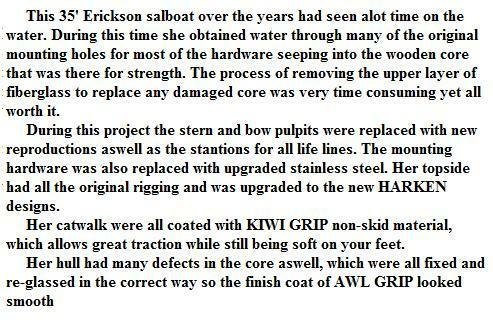 Boat restoration is available for those people who just simply love their older boat and take pride in it. 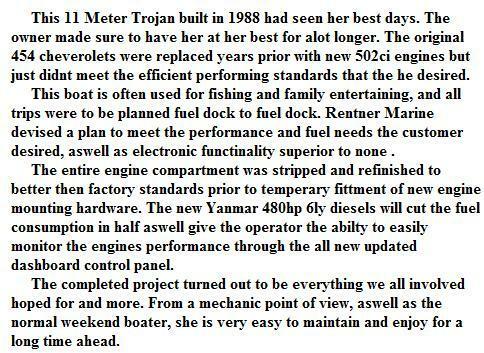 Also minor and major engine repowering of both gas and diesel engines.Wooden boats need work aswell ,and with Wayne Shibley Wooden Boats on site no job is too big or too small. Fiberglass boats often endure Scratches, scrapes and collision damage to gelcoat and structual fiberglass. These are problems that can be repaired here at Rentner Marine.